[4:60] Have you noted those who claim that they believe in what was revealed to you, and in what was revealed before you, then uphold the unjust laws of their idols? They were commanded to reject such laws. Indeed, it is the devil’s wish to lead them far astray. [4:61] When they are told, “Come to what GOD has revealed, and to the messenger,” you see the hypocrites shunning you completely. [39:3] Absolutely, the religion shall be devoted to GOD alone. Those who set up idols beside Him say, “We idolize them only to bring us closer to GOD; for they are in a better position!” GOD will judge them regarding their disputes. GOD does not guide such liars, disbelievers. Our actions are the fruit of our intentions. 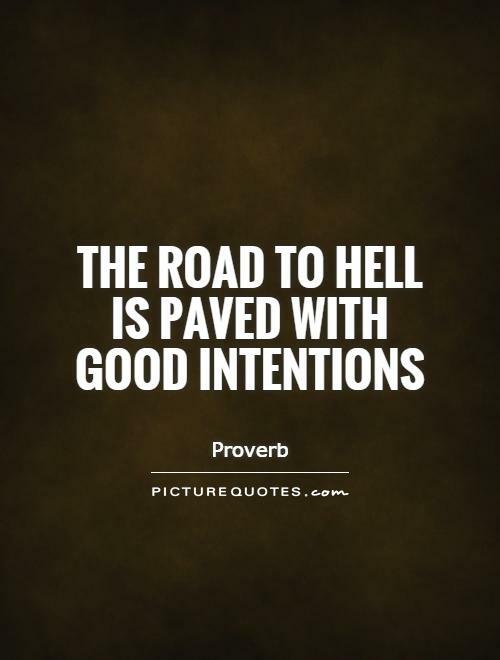 It is impossible to have good intentions and bad actions. If our intentions are truly righteous then our actions will correspond. Our actions should speak for themselves. This is because people can always justify their actions to look at themselves and their actions in the best light. If we need to justify our actions then perhaps we need to revaluate our actions. Frequently you hear people make the assessment that “on the Day of Judgement they will explain to God why they did…” This raises multiple flags to me because (1) We never need to explain anything to God. God knows everything including our innermost thoughts. (2) If we think that our actions need to be justified and don’t speak for themselves perhaps we are not being honest with our selves. 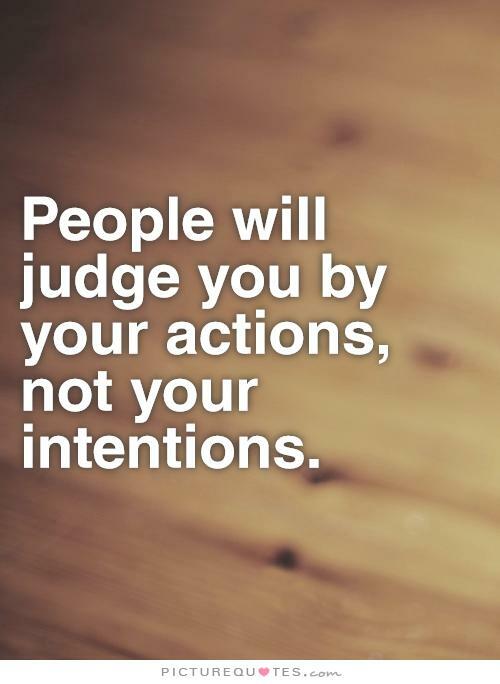 We judge ourselves by our intentions while others judge us by our actions. Other people do not know our thoughts or internal dialogue. They can only assume what you are thinking by how you act.